Replacement cutting blades for STIHL's PolyCut heads. A twelve pack of genuine STIHL plastic blades, these are perfect for replacing worn blades on PolyCut heads. Designed to fit PolyCut 6-3, 20-3 and 41-3 cutting heads. 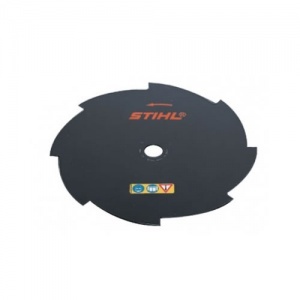 This is a two-tooth 230 mm steel cutting blade for mowing dry, tough grass. 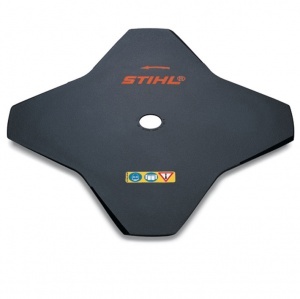 Suitable for a range of STIHL tools. 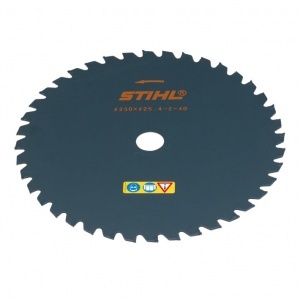 This is a 230 mm steel grass cutting blade with four teeth, designed to work with a variety of STIHL models. Suitable for mowing thick, dry grass and reeds. 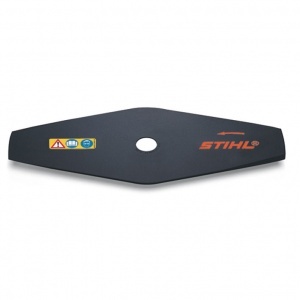 This STIHL grass cutting blade has 8 teeth with a choice of 230 mm or 255 mm for different model compatibility, and is ideal for mowing thick, dry grass and reeds. A 250 mm 40 tooth metal grass cutting blade for mowing tough grass. 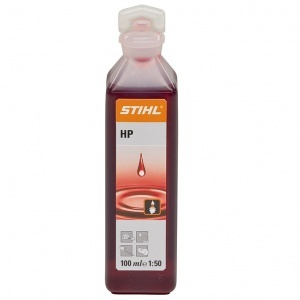 Compatible with a range of STIHL tools.